Whether attending a wedding, nightclub or just a social gathering, dancing is sure to be one of the main forms of entertainment. For many people, however, dancing is a cause for inhibition, often resulting in “wallflowers.” Admittedly, up until recently I was one of those people who looked at the dance floor with disdain from my lonely perch against the wall. Some day I hope to be getting my groove on the dance floor. Having never even attempted to dance, I decided that the best option for overcoming my fears was to enroll in some Renton dance lessons. During the first few dance classes, I was all over my partner’s feet, and I considered throwing in the towel. 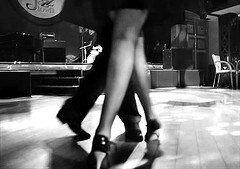 With a little persistence however, I gradually found my stride and now I am quite adept on the dance floor.